How can we predict the trajectory of a baseball from bat to outfield? How do the dimples in a golf ball influence its flight from tee to pin? What forces determine the path of a soccer ball steered over a defensive wall by an elite player? An understanding of the physical processes involved in throwing, hitting, firing and releasing sporting projectiles is essential for a full understanding of the science that underpins sport. 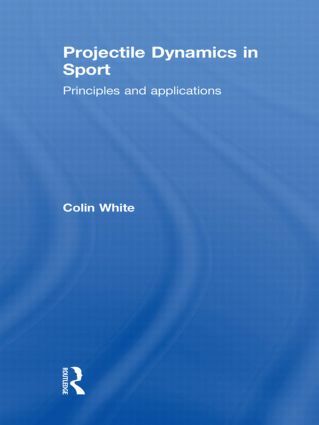 This is the first book to comprehensively examine those processes and to explain the factors governing the trajectories of sporting projectiles once they are set in motion. Richly illustrated throughout, and containing a wealth of research data as well as worked equations and examples, this book is essential reading for all serious students of sports biomechanics, sports engineering, sports technology, sports equipment design and sports performance analysis. Sports projectile modelling: Why, how and … so what!